We understand that when it comes to shipments, time is of the essence. 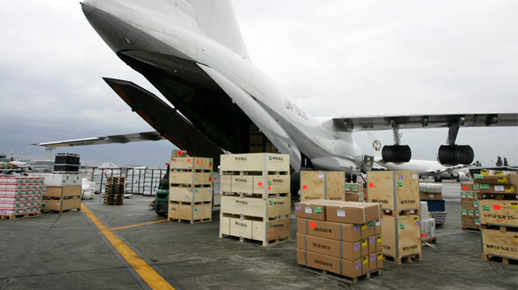 This is why we work to carefully analyze, schedule, and transport imported goods to ensure that they reach your doorstep at your earliest convenience, whether by plane or cargo ship. Get your goods to where they need to be quickly. We utilize our air and sea shipping channels to confirm the safe and prompt transportation of your business goods at a cost-effective rate. Whether you’re across the country or cross the world, Cordaro is here to satisfy your global delivery needs. We are a C-TPAT customs broker. This allows our company to avoid the hassle of constant cargo inspections, which helps to ensure a more prompt delivery process, in addition to reduced storage fees. We excel at providing high-quality distribution services to our clients. This includes customizing the import/export process to their needs while simplifying custom clearance procedures. We are in compliance with C-TPAT security regulations. This helps to ensure a safe delivery of your goods, while also providing additional benefits that assist in shortening the importing/exporting process.